I picked up these pretty sequins at Michaels and thought they'd look so pretty in a fish bowl shaker card. Cut files are from SVG Cutting Files, sentiment from Jaded Blossom and face stamp from Peachy Keen Stamps. This is gorgeous and darn cute at the same time!!! 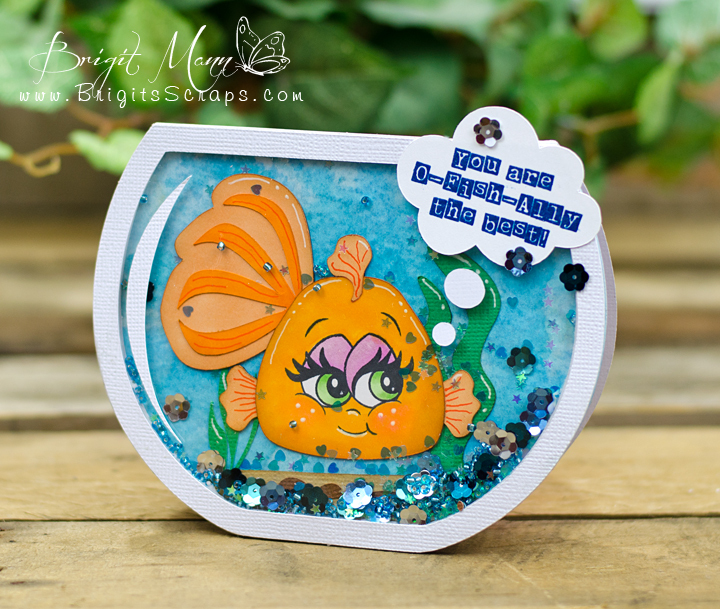 Brigit ~ Oh LOVE the background in your fish bowl! Then that chubby fish ~ so darn CUTE!!! brigit, your shaker card is so cute!